The Lord appeared to Abraham near the great trees of Mamre while he was sitting at the entrance to his tent in the heat of the day. Abraham looked up and saw three men standing nearby. When he saw them, he hurried from the entrance of his tent to meet them, and bowed low to the ground. He said, "If I have found favor in your eyes, my lord, do not pass your servant by. Let a little water be brought, and then you may all wash your feet and rest under this tree. Let me get you something to eat, so you can be refreshed and then go on your way--now that you have come to your servant." "Very well," they answered, "do as you say." So Abraham hurried into the tent to Sarah. "Quick," he said, "get three seahs of fine flour and knead it and bake some bread." Then he ran to the herd and selected a choice, tender calf and gave it to a servant, who hurried to prepare it. He then brought some curds and milk and the calf that had been prepared, and set these before them. While they ate, he stood near them under a tree. "Where is your wife Sarah?" they asked him. "There, in the tent," he said. Then he said, "I will surely return to you about this time next year, and Sarah your wife will have a son." Now Sarah was listening at the entrance to the tent, which was behind him. Abraham and Sarah were already old and well advanced in years, and Sarah was past the age of childbearing. So Sarah laughed to herself as she thought, "After I am worn out and my master is old, will I now have this pleasure?" Then the Lord said to Abraham, "Why did Sarah laugh and say, 'Will I really have a child, now that I am old?' Is anything too hard for the Lord? I will return to you at the appointed time next year, and Sarah will have a son." Sarah was afraid, so she lied and said, "I did not laugh." But he said, "Yes, you did laugh." In the time of Herod king of Judea there was a priest named Zechariah, who belonged to the priestly division of Abijah; his wife Elizabeth was also a descendant of Aaron. Both of them were upright in the sight of God, observing all the Lord's commandments and regulations blamelessly. But they had no children, because Elizabeth was barren; and they were both well on in years. Once when Zechariah's division was on duty and he was serving as priest before God, he was chosen by lot, according to the custom of the priesthood, to go into the temple of the Lord and burn incense. And when the time for the burning of incense came, all the assembled worshippers were praying outside. Then an angel of the Lord appeared to him, standing at the right side of the altar of incense. When Zechariah saw him, he was startled and was gripped with fear. But the angel said to him: "Do not be afraid, Zechariah; your prayer has been heard. Your wife Elizabeth will bear you a son, and you are to give him the name John. He will be a joy and delight to you, and many will rejoice because of his birth, for he will be great in the sight of the Lord. He is never to take wine or other fermented drink, and he will be filled with the Holy Spirit even from his mother's womb. Many of the people of Israel will he bring back to the Lord their God. And he will go on before the Lord, in the spirit and power of Elijah, to turn the hearts of the fathers to their children, and the disobedient to the wisdom of the righteous--to make ready a people prepared for the Lord." Zechariah asked the angel, "How can I be sure of this? I am an old man and my wife is well on in years." The angel answered, "I am Gabriel. I stand in the presence of God, and I have been sent to speak to you and to tell you this good news." Our two Bible readings for today tell the same story. It is a story of unexpected transformation for people who had become settled in their ways. It is a story of new birth when no birth was ever expected. It is a story of God working through the angels to bring newness of life to those who have become old in spirit. When the Lord spoke to Abraham and Sarah through the three angel visitors, Abraham was ninety-nine years old, and Sarah was eighty-nine years old. I guess you could say that people at this age are likely to have settled into their life routine. For Abraham and Sarah it been many decades since they had much hope of any change in their situation. They had no child--no heir to carry on the wonderful promises God had made to them. Over ten years earlier, they had taken the stop-gap measure of having Abraham father a child through Hagar, Sarah's servant woman. At least this way, they figured, there would be a child of Abraham to receive his inheritance, rather than it going to Eliezer of Damascus, the steward of his household--who had no blood relationship with Abraham. And through Hagar, Abraham did have a son named Ishmael. But things didn't go so well with Hagar and Ishmael--and Ishmael's position as an heir was looking shaky. Still, what could be done? Sarah was in her eighties. Enough said. Though we don't know the exact ages of Zechariah and Elizabeth, we are told that they, too, were both "well on in years," so that Elizabeth was past the age of childbearing. The angels didn't care about that. They were sent to deliver good news. Each of these women was to have a child, a son, in her old age. Abraham had already laughed at this idea when God gave him the news in a vision not long before the three visitors appeared (Genesis 17:17). And in our story for today, it is Sarah's turn to laugh. Who had ever heard of such a ridiculous thing? A baby born to a ninety-year-old woman? Sometimes we feel like we're in our nineties spiritually, too. We feel that we have seen it all and done it all, and there is nothing new under the sun. We see nothing ahead of us but the same old routine. And inwardly, we see no hope that we will ever think or feel differently than we do now. We are stuck in a pattern. And we are tired of that pattern. We are discouraged by the stubbornness of our problems and struggles, by the stubbornness of our own character. And when we have been stuck there, perhaps for many years, we begin to think that this is what our life is going to be like forever. When I was in my late teens and early twenties, I used to travel back and forth across the country by bus. The trip took three days and nights from coast to coast. And I remember the feeling that started to hit me about two days in. I began to get the distinct feeling that I was going to be riding this bus for the rest of my life! I would be sitting in this seat watching the scenery go by, sleeping uncomfortably in a half-reclining position at night, and sharing my life with strangers, day in and day out, with no end. By the morning of the third day, I began to resign myself to this fate. And I still had another night to get through. It wasn't until morning dawned after that third night of restless napping that the realization hit me: I'm not going to be on this bus forever! And as we approached that final stop, where I would get off, there was a tremendous sense of relief. My existence would not be an interminable, uncomfortable bus ride! New things would happen--new scenes and new phases of my life. Yes, life would go on. God had greater things in store for me. This was the wonderful news that the angel visitors carried to Abraham and Sarah, and to Zechariah and Elizabeth. For them, it was a miracle. A child born in old age to couples who had lived through many decades of childless marriage. A child born to those who had long since resigned themselves to the fact of their childlessness. This child to be born would be a vessel through whom God would bring great blessings not only to their own family, but to the whole community, the whole nation, the whole world. Through Isaac came Jacob, and the twelve tribes of Israel, and the passing down to us of the entire Old Testament of the Word of God. And John the Baptist became the great desert prophet who prepared the way for the Lord to come among us in power and glory, turn the tide of humanity, and become our Savior forevermore. These angels were bringing amazing, wonderful news. News that, despite the laughter and skepticism of those who heard it, would completely transform their future--and ours--forever. And this news came not from the angels themselves, but from God. It is a curious thing in the story of Abraham and the three visitors, the visitors are sometimes identified as men (as in Genesis 18:2), sometimes as angels (as in Genesis 19:1), and sometimes as the Lord (as in Genesis 18:1). And though at first they are presented as three men, Abraham addresses them as "Lord"; and in the later part of the story, it is a single voice that speaks. These visitors have a sense of the transcendent and mystical about them, as if we can see them . . . but not quite. As if they are men . . . no, angels . . . no, they are actually the Lord. And yet, in the very same chapter of Genesis in which God said "no one can see my face and live," we read, "The Lord would speak to Moses face to face, as one speaks to a friend" (Genesis 33:11). What's going on here? The secret is that God uses intermediaries. Many times in the Bible we read about "the angel of the Lord" appearing to people. That angel often speaks in the Lord's own voice, as if the angel were Jehovah God. Swedenborg explains that since we could not survive a direct encounter with God, in order to protect us and communicate with us at the same time, God fills an angel with the divine presence, and sends the angel to us. And not only do we experience it as God's presence, but the angel also, during that time, has the sense of actually being God. This lasts as long as God is using the angel as an intermediary. This is what happened with Abraham when he saw the three visitors. It also happened with Hagar, Jacob, Moses, Balaam, Gideon, Manoah and his wife, and many others. 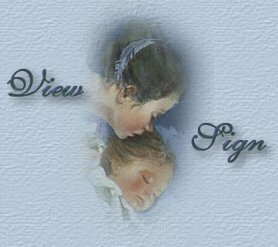 The angel visitors were not only angels--they were the Lord's presence and voice speaking with people on earth, bringing them vital news of events to come, or commandments of the Lord that they were to carry out. Whether the angels are entirely filled with the Lord's presence as the ones who came to Abraham were, or whether they are conscious of their own identity as Gabriel was when he came to Zechariah, all the angels who come to us are on errands from God. They are carrying messages from God to us. It is the joy of every angel to do God's will; and no angel would come to us unless God sent him or her on a specific mission, with a specific message. What is the message in our Bible stories for today? That God has more in store for each one of us. I don't expect that any of us will literally have children at the age of eighty or ninety. But there are other kinds of births that we can experience, no matter what our age. If we have been stuck in a pattern for many, many years, our angel visitors may give us the message that it is time to move on--that our life is about to take a new turn. If we are down and discouraged, believing that things will never get better, our angel visitors may reveal some new light and hope to us, which will lift us up and give us a new reason to live. If we have resigned ourselves to being the same old "us" forever and ever, amen, our angel visitors may show us that God yet has new things for us to learn and experience, new ways for us to grow mentally, emotionally, and spiritually. Now, I know that it is rare for us to be literally visited by angels. 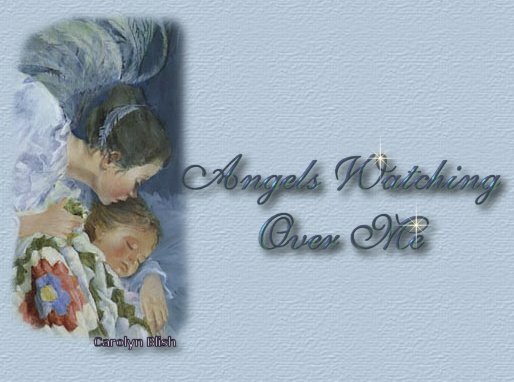 Most of us have probably not heard the words of an angel delivering a message to us--though we may have felt the presence of the angels at particularly difficult or significant times of our lives. However, we do not have to personally receive an angel visit to know that the Lord has a message for us. We know that every story in the Bible is not only about people who lived thousands of years ago. Every story in the Bible is about us. When we read of the angels coming to Abraham and Sarah, to Zechariah and Elizabeth in their old age, we know that through those angels, God is also promising wonderful new things in the lives of each one of us. And though we may laugh at God's message, yet the miracle will take place for us if we are willing to listen, and continue to follow God's surprising will. Amen.